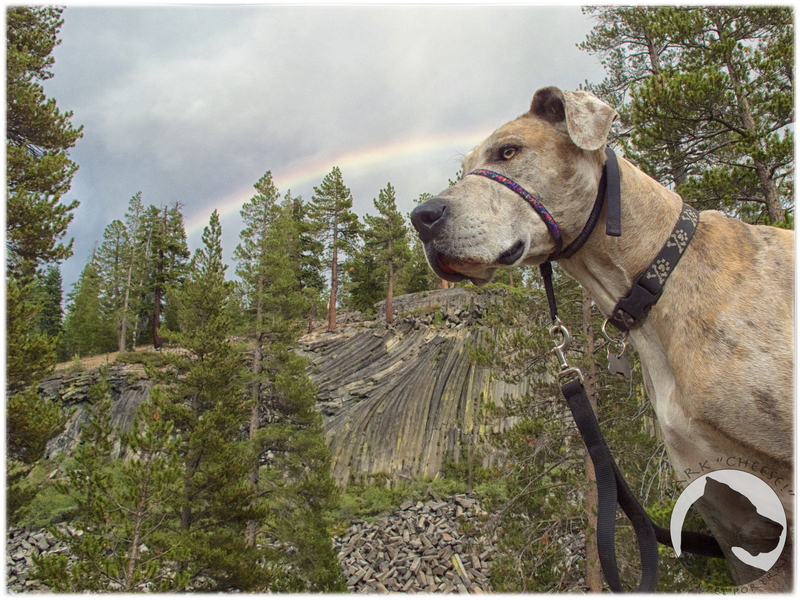 This is a tail wagging, 4 paws park located near Mammoth Lakes in southern California. Devils Postpile has been the most dog friendly and dog attended park we have been to. Dogs are welcome on all the trails and even on the ranger led walks. The only building is a small ranger station and store but we even saw a dog inside that. Be aware that the area is volcanic so all the trails are covered in pumice which can be abrasive to their paws so check your dogs feet after hikes or bring booties. The trails pass in and out of the monument and the surrounding national forest, while in the monument dogs need to be leashed but outside of it they can be under voice control. Camping is available in both the monument and the national forest. The monument camp is cheaper and has bathrooms with plumbing and electricity as well as numerous water pumps. The forest service camps have pit toilets and I never noticed a water pump but the individual campsites are longer if you have a trailer or RV exceeding 37 feet total length. The area is in black bear country so bear boxes are provided so make sure you put all your pet food, bowls and even water bowls away when you are not in camp. The policy at this park is that if a bear becomes a problem bear they have to put it down, they have nowhere they can safely relocate them to, so keep your pets and the bears safe and use the bear boxes. If you are not camping or transporting a boat you have to take the shuttle bus from Mammoth down to the park. Dogs are allowed on the bus but a muzzle may be required by the driver. They are available for purchase if you don’t have one. A map of the park can be found at this link. This entry was posted in Dogs and National Parks, Great Danes and tagged Devils Postpile, Great Dane, K'Ehleyr, National Parks, traveling, Varel. Bookmark the permalink.